FAIRFIELD Villa swept Barnt Green Spartak aside with a 6-2 drubbing last weekend in MFL Division 2, providing the perfect warm-up for Saturday’s (2pm) fixture away to 11th placed Hampton. In a first home game of 2019 at the Recreation Ground, it was to be another successful defence of their unbeaten home record so far this season, although the opening half-hour to the game proved to be one of the more lacklustre openings this season. It was up to Connor Collins to rectify that and he fired a free-kick into the top-corner to start what would essentially become a rout. Within minutes, Ellis Blakemore darted through on goal and struck low into the corner for a quickfire second before Scott Smith’s run through the Spartak’s back-line opened up space to square for Blakemore’s second of the game. A half-time lead of 3-0 seemingly wasn’t enough for Villa, and they proceeded to make it four when Collins was picked out before lifting a chip over a misplaced keeper to find the net. On the hour mark, a set-piece was taken short and knocked into the path of Dan Wilkes, who promptly rifled home in clinical fashion from 25-yards out. 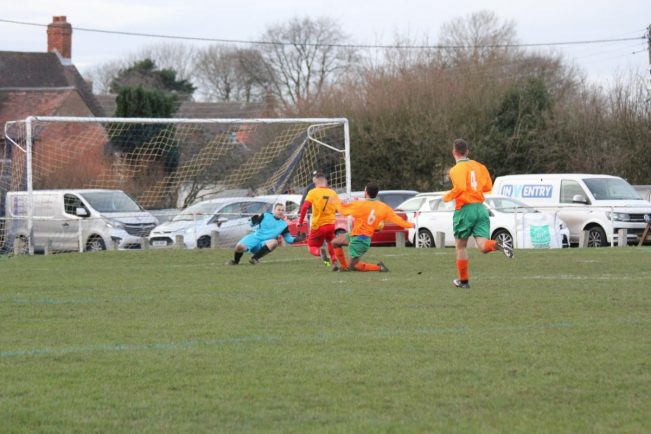 Alfie Bloomer got in on the action when driving through the Barnt Green defence, who at this stage were powerless to prevent themselves from being breached further, dispatching the ball into the corner with his left foot to make the scoreline a resounding 6-0 for the hosts. A number of changes appeared to upset the balance of the game, Barnt Green pulling a deflected effort back through Reuel Prescod, who grabbed his second when looping one into the net for the visitors. Collins almost found a hat-trick goal for Fairfield with a free-kick that was slammed onto the post, whilst Blakemore also went in the hunt for a third of the afternoon but sent wide from a promising position.